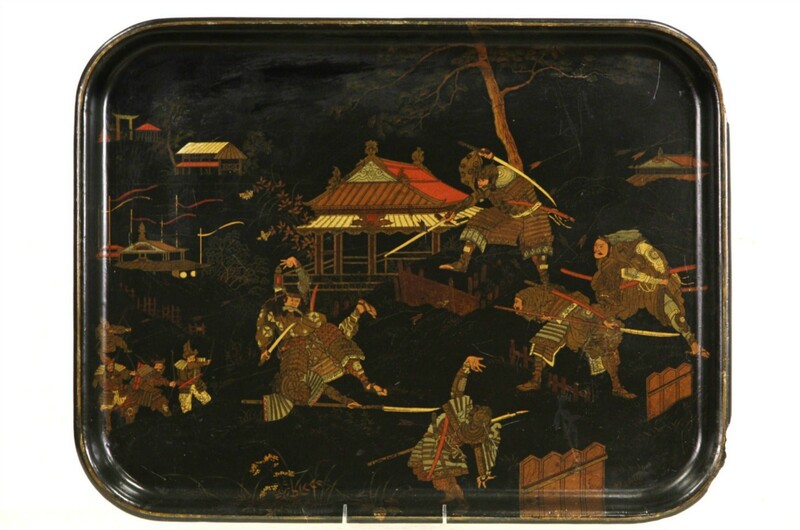 A Japanese papier mache tray from about 1900 has hand painted lacquer with artistic warrior and pavilion motifs, similar to Japanese Samurai. There are losses at one corner and minor scratches and wear, see photos. This Asian antique measures 24 1/2" wide, 19" tall and 1 1/2" deep. Shipping is $20 in the US.